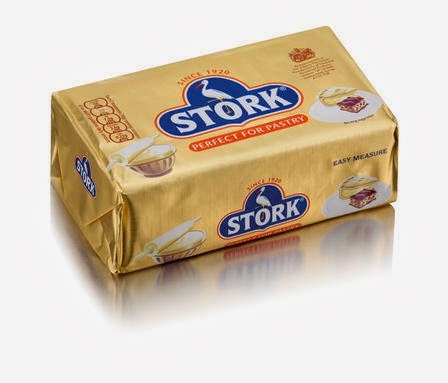 I was recently asked if I would like to take part in the ‘Stork Hot Cross Bun Easter Challenge’ by the good people at Stork. Stork is such a well-known name in British kitchens and I jumped at the chance (especially as the first prize is a snazzy food mixer). My Secret to better Easter Baking with Stork is giving Hot Cross Buns a modern twist by flavouring them with a very on-trend cocktail – the Cosmopolitan. The cranberry, lime and orange in a Cosmopolitan are flavours that would work so well in the bun – even without any alcohol! I substituted some of the mixed fruit for dried cranberries, added orange juice to the dough and finally glazed the buns with lime-flavoured icing. The result was a hot cross bun, which still retained the familiar traditional elements, but added a new dimension of flavour as well. In a large bowl add the yeast and half the warm orange juice. After 5 minutes add the Stork, sugar, eggs, salt, cinnamon, mixed fruit and cranberries. Mix this until it is well combined then add 300 grams of plain flour and mix until combined then add the last 650 grams and mix in with your hands and form the dough. Transfer to a floured surface and knead for 5-6 minutes. Place into a greased bowl and cover with some clingfilm. Leave the bowl in a warm spot for an hour to prove. After the hour, knock the risen dough back, knead for another minute and then divide the dough into 20 even balls. Place onto baking sheets lined with greaseproof paper and slash a cross in the top of each ball. Cover the baking sheets with a dishtowel. Allow them to rest for 30-45 minutes and pre-heat the oven to 180C. Place them in the oven for 15 minutes or until golden brown. Whilst cooling, make a glaze from one tablespoon of the lime juice and I tablespoon of caster sugar, mix these until the sugar dissolves. With a pastry brush, brush the glaze over the top of each bun. Lastly make a simple icing from the icing sugar and one teaspoon of lime juice, which is a thick consistency that can be drizzled. Carefully with a spoon, or with a little icing bag, pipe a cross of icing on top of each bun. 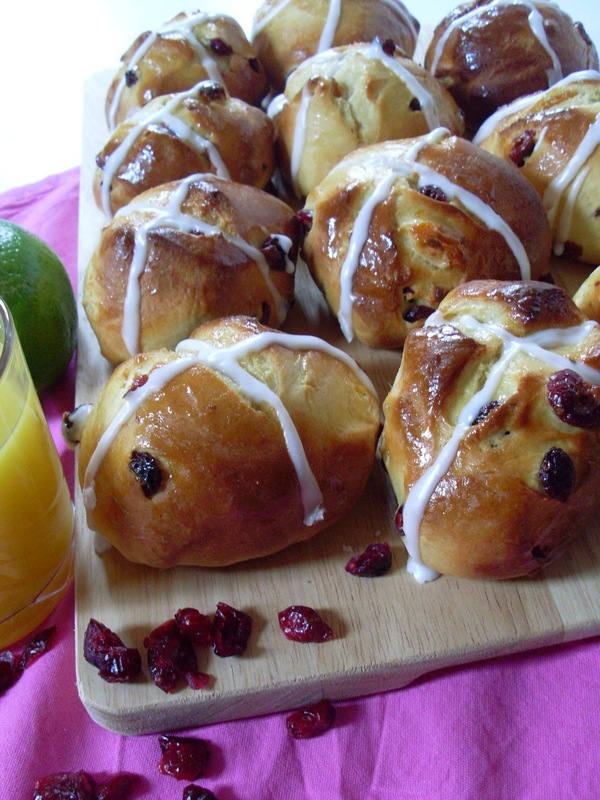 Allow the icing to set and your Cosmopolitan Hot Cross Buns (or Hot Cos’ Buns as I like to call them) are ready. Disclosure Statement: I was not paid to write this post. Stork provided me with the basic ingredients to make hot cross buns. Any additional ingredients were purchased by myself. A lovely idea for the challenge- I spent mist of the weekend inventing weird and wonderful flavours for Stork! It was a great challenge, really got the creative juices flowing! Your chorizo and manchego looked even better! I love this idea, what a tasty twist on a classic! Ok, confession time - I've never had a hot cross bun. Like...never. I've always wanted to try one but the ones at the grocery stores always look so...crusty and hard. And I don't want to buy a dozen of anything that I haven't tried before. LOL. But these look awesome - definitely going on my "must bake" list! Let me know how you like them Steph!